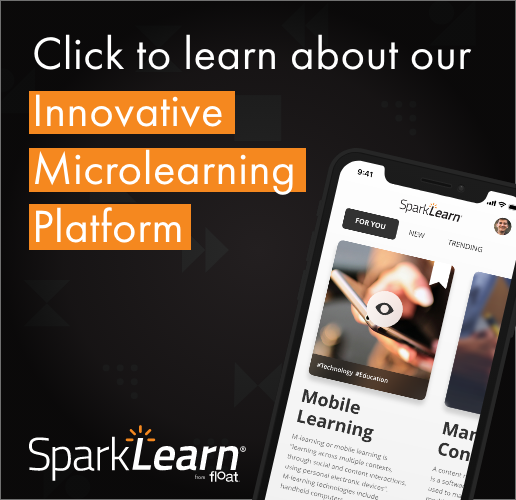 The Instructional Design for Mobile Learning session will prepare attendees with skills for future webinars in the Mobile Learning Conversations series, though Float is happy to welcome anyone who is interested to attend any session. Seating is limited to 100 participants. No future dates for the Mobile Learning Conversations series have been announced yet. Jeff Tillett, who is based in the Seattle area, is a mobile strategist for Float. He has more than 20 years’ expertise in instructional design, consulting, eLearning design and development. Prior to joining Float, Tillett was a senior instructional designer, developer and innovation evangelist for T-Mobile. Dr. Gary Woodill, Ed.D. is a senior analyst for Float and is located near Toronto, Canada. Woodill is also the CEO and senior analyst at i5 Research, as well as the author of The Mobile Learning Edge. Woodill describes himself as a recovering academic, spending 20 years in academia before heading into the corporate world, where he developed and researched eLearning technology for a number of companies.